For March’s toddler craft for our local Baby Bootcamp Stroller Friends play date the theme was vegetables since a rep from a local farm was coming to teach the kiddos about vegetables and “eating a rainbow,” so I had to think of something veggie-friendly for our craft. Then I thought if you ask any toddler and they will call lettuce “salad,” as if there’s nothing else to salad! 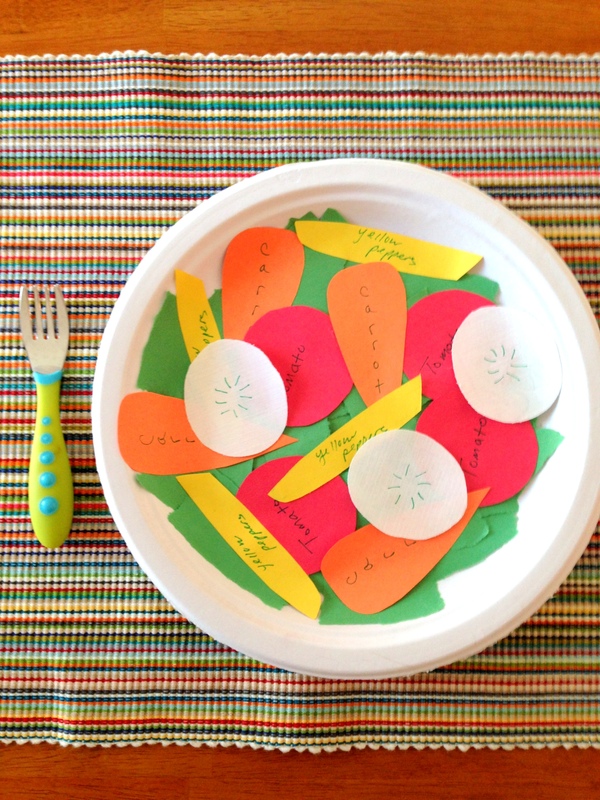 So, I thought it would be fun to cut a bunch of vegetables out of construction paper and have the kids make their own, very colorful construction paper salad. 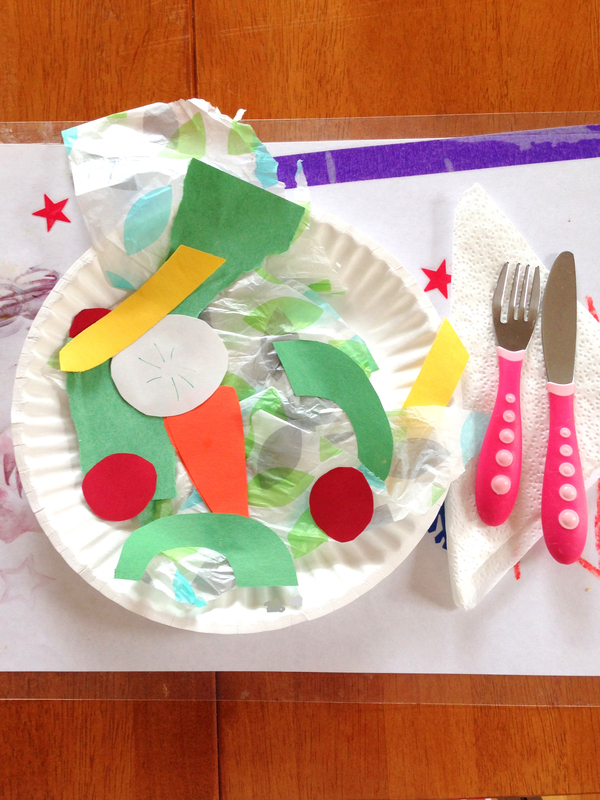 I pre-cut all the veggies (and had the plate in the first photo as a key of sorts for the parents to know what each color/shape was supposed to be) but had the kids tear up the green construction paper to prep their own “lettuce” for the salad. 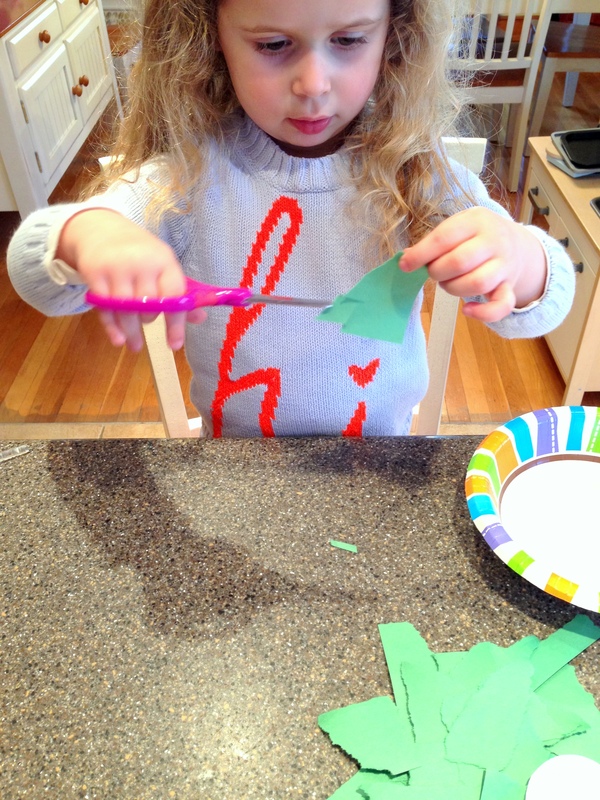 You can have your toddler help cut the veggies if they’re good with scissors. Everyone’s salads were so colorful and unique! After the craft the farm rep shared some vegetables from the farm and the kids could eat an actual salad, too! 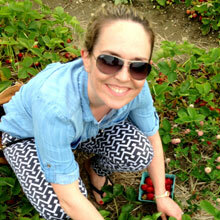 A great way to learn about vegetables – I hope you try this one with your kiddos!